Fishing was pretty solid this past week. There were good reports from Vancouver Harbour, multiple locations in Howe Sound, and fish over in the Gulf Islands. A lot of undersized chinook moved into some of the spots this week, keeping the guides busy with double headers and even a triple. Although exciting, this can make it difficult at times to find the bigger fish as it seems your gear is never in the water. I guess it is better to have lots of bites and some action then no bites at all! Probably the toughest choice right now is where to go. The fish really are moving around a lot. One day a spot will produce multiple keepers, the next day just small fish or perhaps not much at all. Such is the nature of winter chinook fishing. 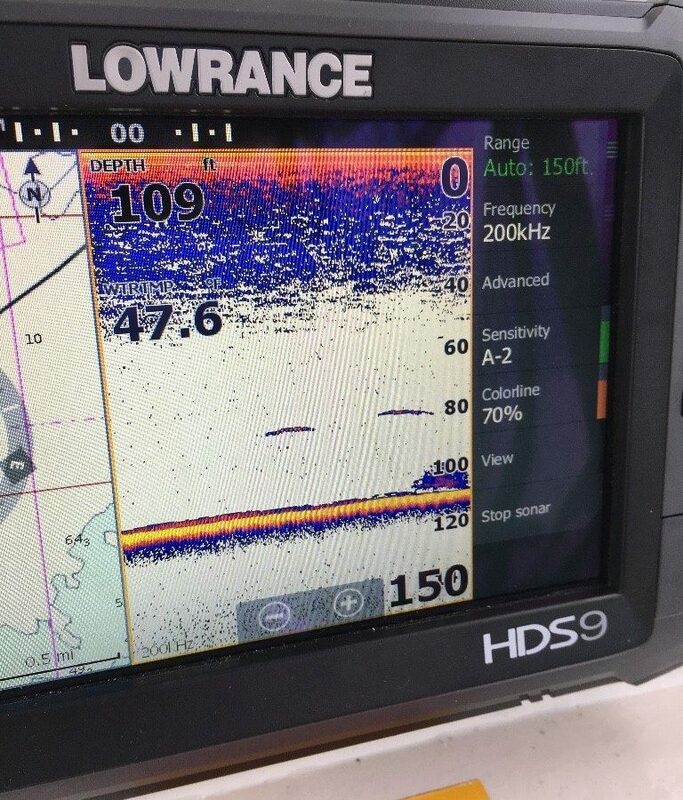 Eddie and I were out test fishing the new Lowrance electronics yesterday and the new Lowrance Bluetooth autopilot system. Both worked well and we were pretty happy with the autopilot even in the strong winds. Here is a picture of a couple of chinook feeding on a bait ball. This was in Vancouver Harbour, around the freighters, on the ebb tide.